$60 nett (Include purchase of any Lucky Puppy item): Receive a Lucky Puppy 2018 Planner, 20 % OFF voucher and Pouch. 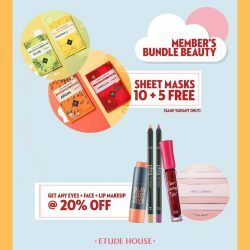 [Etude House Singapore] It’s All About You! It's All About You! Member Treats! 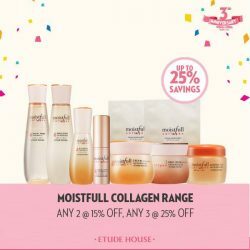 1) Lucky Puppy Soon Jung & Moistfull Collagen Skincare Set @ 20% OFF. 2) Purchase any 3 makeup items (eyes + face + lip) to receive 20% OFF! 3) Purchase any 10 Sheet Masks and receive 5 Free! * Bonus Points applicable to (1) & (2) only. * Valid from 12-14 Jan '18 at islandwide stores. 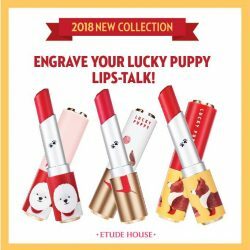 [Etude House Singapore] Customise your very own Lips-Talk! Customise your very own Lips-Talk! * This service is available at ETUDE HOUSE Wisma only. 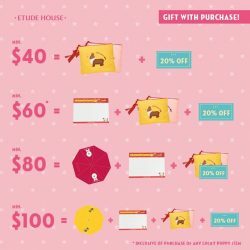 [Etude House Singapore] ETUDE HOUSE 2018 MEMBERSHIPDear Members, ETUDE HOUSE will be renewing our membership system with effect from 1 Jan 2018. 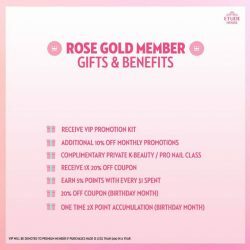 Dear Members, ETUDE HOUSE will be renewing our membership system with effect from 1 Jan 2018. Our members will no longer be categorise under pink, hot pink or royal pink. The New Categories are WHITE / PINK / ROSE GOLD. 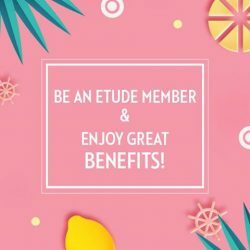 New Membership system include additional and better benefits in each category for all our members to enjoy more privileges as a family of ETUDE HOUSE! If you are not a member yet, simply sign up on Facebook for free or head down to our stores to register with any purchase. 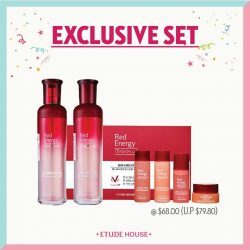 [Etude House Singapore] Are you up for another surprise? Are you up for another surprise? The mystery boxes are back! Fastest fingers gets it at $29 for $100 worth of products! Only 100 boxes up for grabs! [Etude House Singapore] Don’t miss the 12. 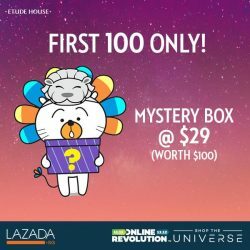 Don't miss the 12.12 Online Revolution on LAZADA! 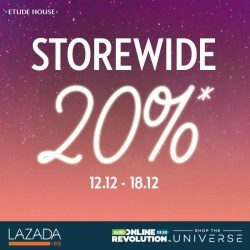 20% OFF Storewide on OFFICIAL STORE @ LAZADA only on 12-18 December! Perfect reason to shop for christmas! Be the first 100 to cart out your purchase to receive a Life Is Sweet Mirror and a $5 voucher! 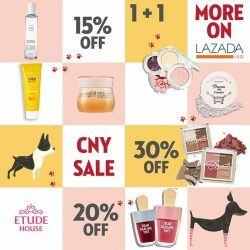 [Etude House Singapore] Don’t Miss the LAZADA 12. Don't Miss the LAZADA 12.12 Online Revolution! 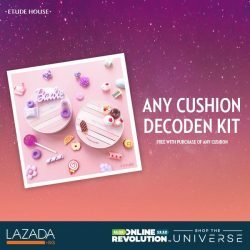 Purchase any Any Cushion All Day Perfect and receive a decoden kit for free! 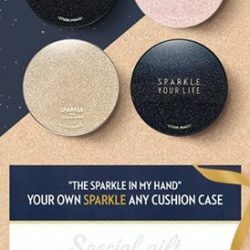 [Etude House Singapore] Keep Calm and Sparkle On. [Etude House Singapore] Let’s welcome October with Play 101! Let's welcome October with Play 101! Enjoy 1 + 1 for ALL PLAY 101 ITEMS! [Etude House Singapore] MY CUSHION, MY LIPS-TALK, MY STYLE! MY CUSHION, MY LIPS-TALK, MY STYLE! In conjunction with our 3rd Anniversary at Wisma, we have a special event for you! 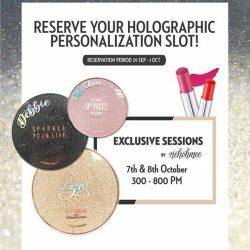 Personalized and customize your own cushion or lips-talk to make them the one and only! * Purchase must include Sparkle Cushion Case + Refill OR Dear My Matte / Glass Tinting Lips-Talk Case + Refill. * Online reservation valids 29 Sep - 1 Oct only. [Etude House Singapore] Our Flagship Store @ Wisma Atria turns 3! Our Flagship Store @ Wisma Atria turns 3! In conjunction with our joyous event, we are have these exclusives just for you members! Receive 10% off with every $40 nett purchase and Free Ion Water Calming Mist with every $50 nett purchase. PLUS! Be the Top Spender of the month and win a Colourella Pendant from Goldheart worth $408! * Promotion is exclusively at Wisma Atria only. * Promotion is applicable to members only. * Promotion period valid from 29 Sep - 8 Oct 2017. 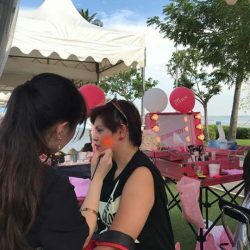 If you are here at The Color Run 2017, pop by ETUDE HOUSE's booth for a free face paint or makeover! Sign up as a Pink Member to receive a free sanitizer! 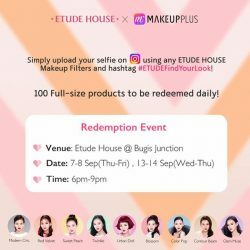 [Etude House Singapore] It is finally here! Get tipsy with Play Color Eyes Wine Party Palette! 10 deep, wine hues curated for the season of Fall. We are giving away 8 Play Color Eyes Wine Party Palette worth $35.90 each!  Comment 'I love Wine Party!' and tag 3 friends! ❤️ Purchase Play Color Eyes Wine Part Palette and receive Free Eyeshadow Block Tip! ❤️ Purchase 2 or more palettes and receive additional collagen eye patches! * Exclusively at Wisma, Bugis and VivoCity only. * This Promotion is entitled to members only. 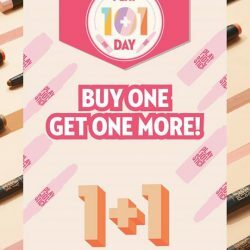 [Etude House Singapore] 1 PLUS 1 with PLAY 101! 1 PLUS 1 with PLAY 101! 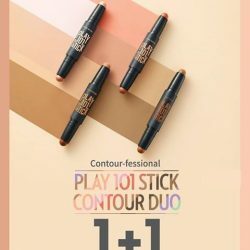 Enjoy 1 + 1 Play 101 Contour Duo Sticks (new colors) from now till end of september! Don't forget to share this piece of good news with your friends now! 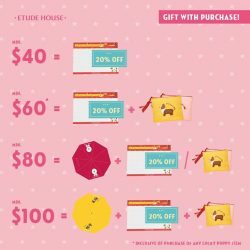 [Etude House Singapore] Life is Sweeter with Sweet Rewards from ETUDE HOUSE! 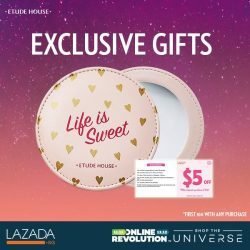 Life is Sweeter with Sweet Rewards from ETUDE HOUSE! 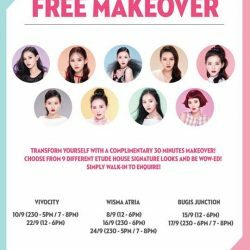 [Etude House Singapore] Fancy a Free Makeover? Head down to ETUDE HOUSE at Bugis, Wisma or VivoCity to refresh your look with a complimentary makeover! Our Makeup Artists will be providing a free makeover with your preference from one of the Signature Looks! Get the K-Beauty Look on point with no strings attached! Find your look with ETUDE HOUSE Signature Look filters! Simply check out Etude House Makeup filters in the MakeUpPlus App and find your desired look! First 100 to flash your selfie in-store will receive 1 full size product! [Etude House Singapore] Come celebrate our first year anniversary at Compass One! Come celebrate our first year anniversary at Compass One! * Promotion valid from 1 - 7 Sep, at Compass One #01-23 only. Become a member to receive exclusive gifts with any purchase, and enjoy member-only promtions!